Simmons Park residents Natalia and Vladimir with their children, Chloe and Kira. The sponsors address the crowd. 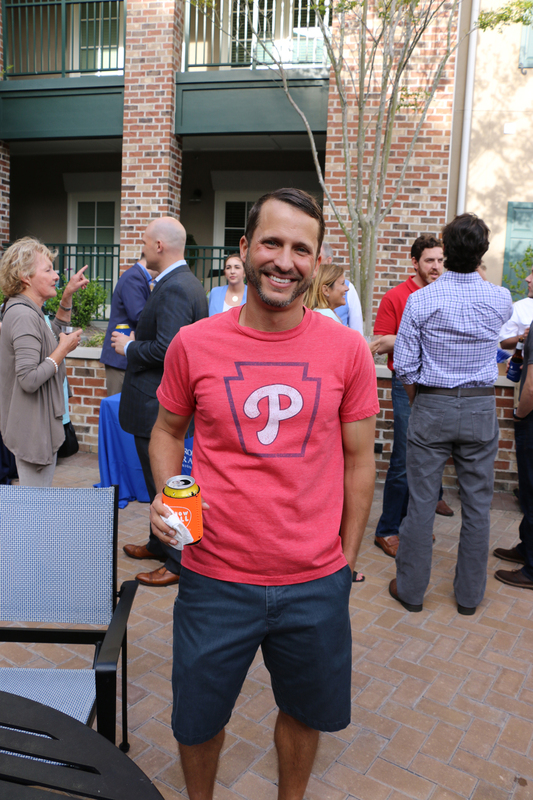 Ian Auman showed support for his team on MLB’s opening day, which coincided with the block party. The Daniel Island Business Association held their monthly block party at Simmons Park Apartments on March 29. The event was sponsored by: East Cooper Community Outreach; Moore, Ingram, Johnson & Steele Law; and South Carolina Federal Credit Union.